fresh, moist, hint of orange and berry... a perfect combination! 1 cup of milk to wet the dry ingredients. Line muffin cup pan with paper liners, fill to 3/4 full. Bake at 350 for 20 minutes. Hi Claudia, this muffin look awesome. 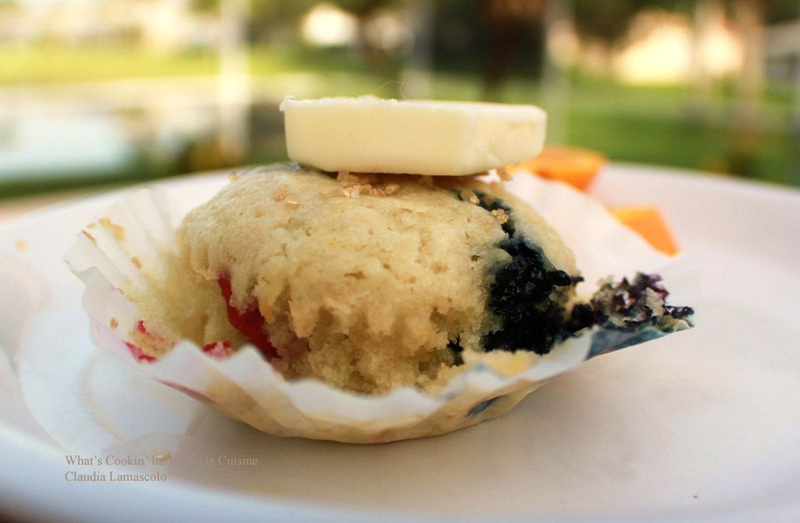 Oh, boy...nothing better in the morning than berry muffins! The addition of orange sounds perfect! Wow, I am pleased it shut down!! He did something really awful to you. Welcome back! I love these little treats you made! Great looking muffins, Claudia -- the addition of orange is something I'd never thought of before. Will definitely try. These are beautiful and I love all the berries you added with the addition of orange zest. I like that much better than lemon zest. Nice recipe! 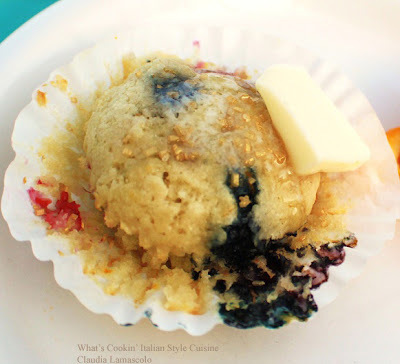 A great way to snazz up a plain old blueberry muffin recipe!